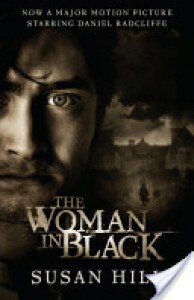 The Woman in Black is a ghost story set in Victorian England. Arthur Kipps is a young lawyer who's sent to a remote village in the northeastern shores of England to settle the affairs of one of the firm's clients. As he arrives in town, he finds that the locals are pretty tight-lipped over the late Alice Drablow of Eel Marsh House. And rightly so! As it turns out, eerily strange things have been happening at the house, and soon Arthur himself finds he's being haunted by a strange woman in black, a woman with a pale, gaunt face and a dark air of malevolence all about her.